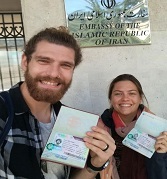 On this tour, you will get the chance to see a collection of beauties, the glory of ancient historic monuments, climate diversity, and hospitable people as well as the variety of race, culture, language, music, clothing, dance and food in the center, east, north and northeast of Iran. On the other hand, besides visiting scores of ancient monuments, mosques, churches and temples, you will visit several UNESCO registered historic monuments including Persepolis, Necropolis, Pasargadae, Dowlatabad Garden, Imam Square, and Gonbad-e Qabus tower. 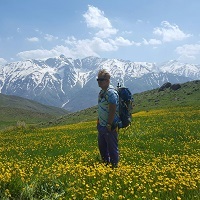 You will also visit three Natural Heritage Sites registered in UNESCO including the desert and yardangs in Kerman, Qanat or Kariz in the deserts of Yazd and Shahroud, an old system of water supply from a deep well with a series of vertical access shafts, National Park and the wetland of Miankaleh. In a distance less than a hundred kilometers, you move from desert dunes to mountain forests covered with clouds, and you will see a hundred species of birds as well as the way to yield caviar in the beautiful Ashuradeh Island and Miankaleh peninsula. You might have the chance to watch horse racing among Turkmen. Then we pay a visit to Sa'ad Abad Complex with an immense area of 1,100,000 square meters and 18 magnificent historical palaces two of which we will visit. The complex was first built and inhabited by Qajar monarchs in the 19th century. After an expansion of the compounds, Reza Shahof the Pahlavi Dynasty lived there in the 1920s, and his son, Mohammad Reza Pahlavi, moved there in the 1970s. After the 1979 Revolution, the complex became a museum. It will undoubtedly leave a lasting impression on us. Soon after we go to have lunch; a tasty Iranian dish in a traditional restaurant. Finally we make a visit to Milad Tower; the sixth-tallest tower in the world standing at 435 meters from the base to the tip of the antenna (if it is open). At night we can take a tour of the Nature Bridge by choice (at an extra cost). It is the largest pedestrian overpass built in Iran. The 270-metre (890 ft.) bridge connects two public parks (Taleghani Park and Abo-Atash Park) by spanning Shahid Modarres Avenue, one of the main highways in northern Tehran. We get up early morning and begin the day with a trip to the National Museum of Iran; an institution formed of two complexes; the Museum of Ancient Iran which was opened in 1937, and the Museum of the Islamic Era which was opened in 1972.It hosts historical monuments dating back through preserved ancient and medieval Iranian antiquities, including pottery vessels, metal objects, textile remains, and some rare books and coins.We will see the “evolution of mankind” through the marvelous display of historic relics. Afterwards we will transfer to the train station to leave for Shiraz. On the way to the hotel, we will pay a visit to Shah-e Cheragh. This is one of the most beautiful shrines in Iran with its beautiful dome, wonderful lighting and Mirror-work. 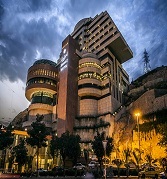 Stay overnight in Shiraz. In the evening, we will visit Ali-Ebn-e-Hamzeh and be prepared to marvel at its beauties. We will take a stroll through the Jahan Nama Garden and witness its tall and proud cedars. Finally we will visit the Eram Garden and the tomb of Khajoy-e-Kermani from where the perspective of the mysterious city of Shiraz will remain in our mind. Today we hit the road to The Lut Desert, widely referred to as Dasht-e Lut (literally meaning "Emptiness Plain"). It is a large salt desert located in the provinces of Kerman and Sistan and Baluchestan. It is the world's 27th-largest desert, and was inscribed on UNESCO's World Heritage List on July 17, 2016. The surface of its sand has been measured at temperatures as high as 70 °C, making it one of the world's driest and hottest places. We will trek through the desert and enjoy its natural beauties. Then we head for the unique Kaluts in Shahdad desert. On the way, we will visit Lake Bakhtegan, Dehmurd village, Herat and Rafsanjan which is famous for its pistachio. We stay overnight in a traditional house in Dolat Abad village. Today we leave for Bam. Along the way, we make a short stop in Mahan. Mahan is well-known for the tomb of Shah Ne'mat Ollah-e Vali, the great Sufi leader, and Shazdeh Garden (Prince’s Garden), a historical Persian garden located 6km away from Mahan in Kerman province. The garden is rectangular-shaped, 5.5 hectares in size, enclosed by a wall. It consists of an entrance structure and gate at the lower end and a two-floor residential structure at the upper end. The land between these two is ornamented with water fountains that use the natural incline of the land to power them. The garden is a fine example of Persian gardens that make the most of climate and land formations. Next you will visit the remains of the earthquake-stricken Arg-e-Bam (Bam Citadel) in the city of Bam, which still attracts the attention of travelers to Iran, and you will also see other popular tourist sites. You will also make a stop at Rayen to visit the interesting Rayen Castle which is a replica of the Bam Citadel.We stay overnight at a hotel in Kerman or Mahan. Today we hit the road to Zeinoddin or Fahraj. In the past, for safety, people used to travel in small or large groups called caravans. Each caravan traversed 6 farsakhs (1 manzel) every day. Farsakh is a historical Iranian unit for measuring distance, equal to 6.24 kilometers. Passing through a manzel, the caravan arrived at a caravansary in which they could stay to rest and relax. 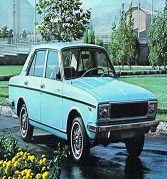 Saryazd, Fahraj, and Zeinoddin were the first caravansaries on the roads between Yazd, Shiraz, Kerman, and Sirjan. Staying overnight in one of these caravansaries will be an unforgettable experience if there is a vacancy by luck.Zeinoddin Caravanserai is a Safavid Caravanserai in the heart of desert restored in the best way possible. It got two awards from UNESCO in 2005 and 2006. On the way to Zeinoddin or Fahraj, we will visit the rocky village of Meymand, a very ancient village located near Shahr-e Babak city in Kerman Province. Meymand is believed to be a primary human residence in the Iranian Plateau, dating back to 12,000 years ago. Many of the residents live in the 350 hand-dug houses amid the rocks, some of which have been inhabited for as long as 3,000 years. Stone engravings nearly 10,000 years old are found around the village, and deposits of pottery nearly 6,000 years old attest to the long history of settlement at the village site.On 4 July 2015, the village was added to the UNESCO World Heritage Sites list. On the way to Yazd, first we will visit Mehriz which is located 30 kilometers south of the city of Yazd. It consists of one central district and five village centers. According to historians, the name belongs to "Mehrnegar" the beloved daughter of Anoushirvan, the Sassanid King. Mehriz was known, during the late Sassanid era (4th century AD), as a natural pleasant area. The next place we will stop by on the way is the Saryazd Castle which is a historical castle built during Sassanid Dynasty (the 3th_ 7th century) in Saryazd village. The castle has been one of the oldest and largest bank safe-deposit boxes in Iran and the world where cereals, money, gold and jewelry were kept during invasions. The castle has nested concentric walls with impregnable high towers that is surrounded by a moat. The moat has a width of 6 meters and a depth of 3 to 4 meters. The castle has two doors that one is a main door and another is a guardian door. The castle has three floors that are made with mud brick. Then we continue all the way to Yazd. On our way to the hotel, we will pay a visit to Zoroastrian Towers of Silence; circular raised structures built by Zoroastrians for excarnation (for dead bodies to be exposed to carrion birds), and Fire Temple; the place of worship for Zoroastrians. At night, we will visit Amir Chakhmaq Complex; a prominent structure noted for its symmetrical sunken alcoves.It is a mosque located on a square of the same name. It also contains a caravanserai, a tekyeh (a place where Shiite gather for mourning of Muharram), a bathhouse, a cold water well, and a confectionery.At night, the building is lit up after twilight hours after sun set with orange lighting in the arched alcoves which makes it a spectacle. Yazd, the oldest adobe city in the world which is surrounded by the 4000m summit of Shirkooh and two majestic deserts of Iran, Dasht-e-Kavir and Kavir-e Loot. This ancient UNESCO-registered city is furnished with mosques of stunning beauty. The co-existence of the splendid fire temples and the holy sites of different religions astonish every visitor. Afterwards we head for Yazd Water Museum. This 124- year-old Museum displays the tool, techniques used for the past 4000 years in Iran in creating underground waterways (called Qanats) and connecting them to the city and field locations for agricultural and other uses. Yazd water museum was set up in 2000 in the wake of the first international conference on qanat in Yazd. The museum building has once been a merchant’s house built in 1929. Two qanats are running beneath the museum at different levels, which are reachable through a special stairway called Payab. This museum has put on display a variety of water objects from qanat to water ownership documents. The museum is one of the best tourist destinations in Yazd, which receive hundreds of visitors every day. Finally we pay a visit to confectionary and handicraft workshops. Today we start our tour with the famed Imam Square (Naqsh-e-Jahan), a huge square second in the world to Beijing's Tiananmen Square. 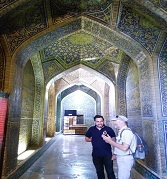 Then we pay a visit to the architectural marvels of Sheikh Lotfollah and Imam Mosques, Aliqapu Palace, Chehel Sutoon and Hasht Behesht Palaces, and finally visit one of the most famous bazaars in Iran, where we can buy the handicrafts for which Isfahan is so well renowned. We take the night flight to Mashhad and stay overnight there. Mashhad is the second most populous city in Iran, located in the northeast of the country, close to the borders of Turkmenistan and Afghanistan. The city is most famous and revered for housing the tomb of Imam Reza, the eighth Shia Imam. Every year, millions of pilgrims visit the Imam Reza shrine and pay their tributes to Imam Reza.In the afternoon, we will first visit the holy shrine of Imam Reza. It is actually a live museum in which you can see a wonderful collection of throughout-the-history masterpieces by the best artists of mirror work, stucco work, moqarnas (stalactite work), marquetry, wood carving, stone carving, carpet weaving. Visiting the shrine will give you a real insight into Iranian art and sociology from the remote past to the present. Then we will pay a visit to the Astan Quds Razavi Central Museum, a major museum complex inaugurated in 1964. Its collections contain Islamic art and historical artifacts;the Museum of Quran and Precious Objects, the Museum of Carpets, the Museum of Armaments, the Museum of Coins and Medals, the Museum of Fine Arts, and so on. Nishaburis a city in the Khorasan Province, in northeastern Iran, situated in a fertile plain at the foot of the Binalud Mountains. The city was founded in the 3rd century by Shapur I as a Sasanian satrapy capital. Nishabur later became the capital of Tahirid dynasty and was reformed by Abdullah Tahir in 830, and was later selected as the capital of Seljuq dynasty by Tughril in 1037. From the Abbasid era to the Mongol invasion of Khwarezmia and Eastern Iran, the city evolved into a significant cultural, commercial, and intellectual center within the Islamic world.What remains of old Nishabur region is a 3500-hectare "Kohandejh" area, south of the current city of Nishabur. We will pay a visit to the tomb of Omar Khayyam, a scholar, mathematician, astronomer, philosopher, and poet. Born in Nishabur, in northeastern Iran, at a young age he moved to Samarkand and obtained his education there. Afterwards he moved to Bukhara and became established as one of the major mathematicians and astronomers of the Islamic Golden Age. He also wrote numerous treatises on mechanics, geography, mineralogy, astronomy and music. We will also visit the tomb of Attar, a Persian mystic poet and theoretician of Sufism, from Nishabur, who had an immense and lasting influence on Persian Poetry and Sufism. Then we will go to visit Shadyakh, one of the main Palaces, Gardens and Great Neighborhoods of old Nishabur that was established by Abdullah ibn Tahir al-Khurasani in the 9th century AD, becoming more important and populated after that. Some notable people like Attar lived there. Attar's tomb is now in that area. This palace was perhaps completely ruined in 13th century AD. Archaeological excavations began in 2000 there and continued for around 2 years. Buildings (possibly a palace), skeleton, equipment and other items were found there. Now Shadyakh is a national Iranian monument, with a registration number of 10910. Our day will conclude with a visit to the Museum of Nishabur. We stay overnight in Mashhad. 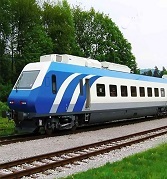 Today we move to Shahroud by Pardis train at 6:00 a.m. (if train tickets aren’t available, you will transfer by private cars paying the price difference). Upon our arrival in Shahroud, we will transfer to the hotel and have lunch (we highly recommend that you stay overnight in the Chahjam desert). In the evening, we will visit the tombs of the great theosophists Abolhasan Kharghani and Bayazid Bastami in the beautiful villages of Kharaghan and Bastam and get to know the literature, culture, and Sufism in Iran. Then we move towards Chahjam desert (about 80 KMs), walk through the desert at night, see the beautiful trees and bushes in the desert, have dinner in a beautiful oasis and drink tea under the starry sky of the desert, and get to know Qanat in the desert; an old system of water supply from a deep well. We keep up with demand and stay overnight in Chahjam Desert or at a hotel in Shahroud. Today we first move to Abr village. Then we transfer to Abr forest at the foot of Chogholgir mountain range. It’s a valley covered with dense forests in a short distance to the desert filled with the clouds risen from the moisture of the Caspian Sea. Descending the heights towards Shirinabad village, we are above the clouds. Taking this route, hiking or biking, we’ll pass through an ocean of clouds, and we’ll be below clouds at the foot of the valley. (We’ll take the route of Alang road, if Shirinabad Abr route is not in a good condition). Afterwards we will transfer to Gonbad-e Kavus where the highest brick tower in the world (Kavus tower) lies, take photos wearing Iranian Turkmen’s clothing. Finally we transfer to Gorgan, have dinner in Naharkhoran and stay overnight in Gorgan. Today we first move to Bandar-e Torkaman; a port on the Caspian Sea, visiting the best horse-breeding centers and horse riding pistes, and the culture and traditions of the Turkmen. Then we move to Ashooradeh Island by boat, have dinner in the island, walk through the island, and visit workshops yielding caviar. Afterwards we move to Miankaleh by boat visiting the birds and enjoying the beauties in the region. Finally, we transfer to Gorgan and stay overnight there. Today we take the flight to Tehran and visit the remaining sites there. What comes last is our transfer to IKA and depart from Iran, the land of history, culture, nature, beauty and hospitality, of which you will have fond memories forever. (In “Paradise in Persia”, we didn’t consider it necessary to book a hotel for this night. On request, we can book the hotel at IKA for some hours or a whole night in accordance with your departure time).